Oppo F3 Plus has been launched in India with a price tag of Rs. 30,990. 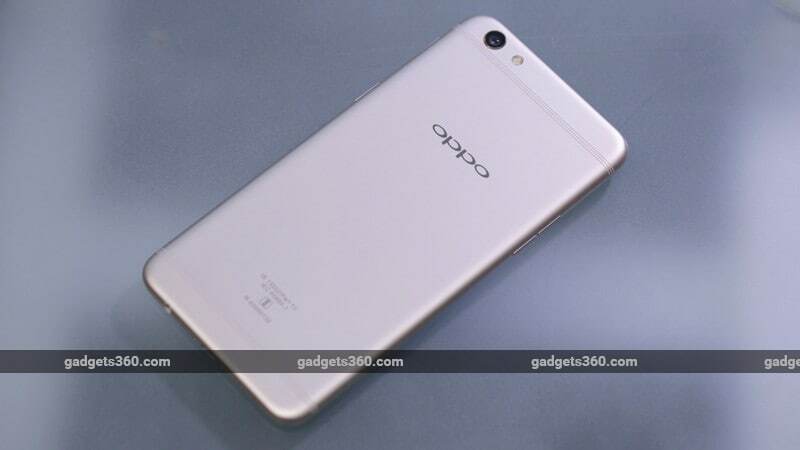 At an event in New Delhi on Thursday, the Chinese smartphone manufacturer announced that the new Oppo F3 Plus (Review) will go on sale from April 1, both online and offline. Pre-orders for the new Oppo smartphone begin on Thursday itself, and will extend till March 31. It will be available in Black and Gold colour variants. The highlight of the Oppo F3 Plus is its dual selfie camera setup. It bears one 16-megapixel 1/3.1-inch sensor with an f/2.0 aperture and one 8-megapixel sensor. While the former sports a 76.4-degree wide-angle lens, the latter sports a 120-degree wide-angle lens that allows for 105-degree field-of-view group selfies. Users can choose which lens they want to use, and, the smartphone comes with a Smart Facial Recognition feature that Oppo says automatically suggests which lens is ideal. The smartphone comes with various camera features, including the Beautify 4.0 app, Selfie Panorama, Screen Flash, and Palm Shutter. The Oppo F3 Plus also bears a fingerprint sensor on the home button, said to unlock the smartphone in as little as 0.2 seconds. The company is touting fingerprint activated app and call shortcuts as well. The dual-SIM (Nano-SIM) Oppo F3 Plus runs ColorOS 3.0 based on Android 6.0 Marshmallow. It bears a 6-inch full-HD (1080×1920 pixels) JDI In-Cell 2.5D curved display with Corning Gorilla Glass 5 protection. It is powered by a 1.95GHz octa-core Qualcomm Snapdragon 652 653 SoC that’s coupled with the Adreno 510 GPU and 4GB of RAM. On the rear, the Oppo F3 Plus sports a 16-megapixel Sony IMX398 sensor with 1.4-micron pixels, with dual-PDAF, an f/1.7 aperture, and dual-LED flash. The smartphone bears 64GB of inbuilt storage that’s expandable via microSD card (256GB). The smartphone bears a triple-slot tray, letting users utilise two SIM cards and one microSD card at the same time. Connectivity options on board the Oppo F3 Plus include 4G VoLTE, Wi-Fi 802.11 a/b/g/n/ac (2.4GHz and 5GHz), Bluetooth v4.1, GPS/ A-GPS, 3.5mm audio jack, and Micro-USB with OTG. It is powered by a 4000mAh battery with the company’s own VOOC Flash Charge fast charging tech that is claimed to deliver up to 2 hours of talk time in 5 minutes of charging. Sensors on the smartphone include accelerometer, ambient light sensor, gyroscope, magnetometer, and proximity sensor. It measures 163.63×80.8×7.35mm, and weighs 185 grams.